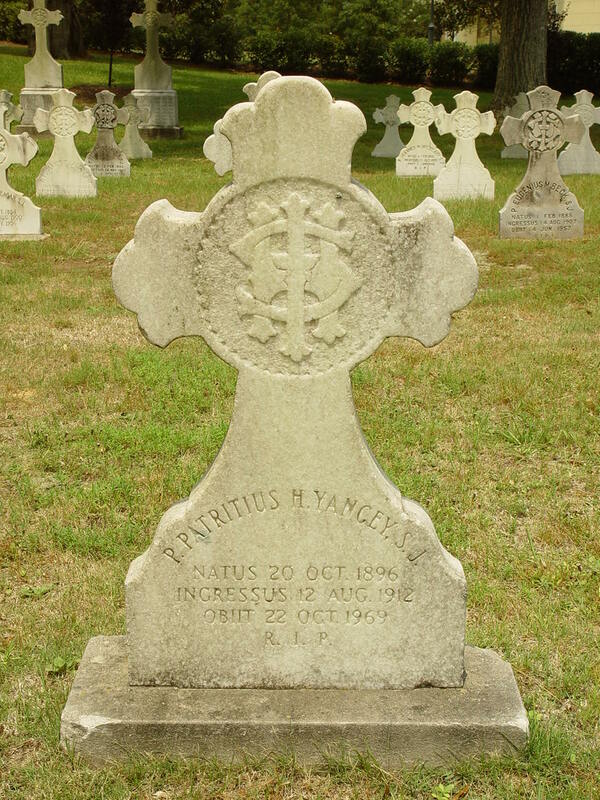 Reminiscences of PATRICK HENRY YANCEY, S.J. 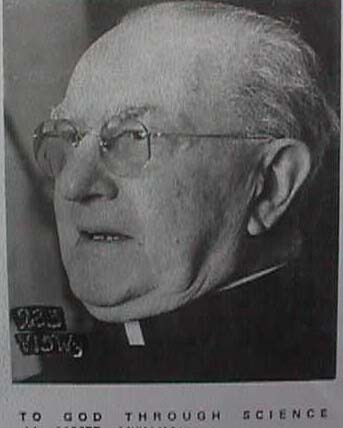 Patrick Henry Yancey, S.J., was priest of the Society of Jesus, received his Ph.D. from Saint Louis University in 1931. In the fall after graduation he returned to Spring Hill College to become professor of biology and department chairman. He was active in education and research, and in the development of the pre-professional training for medicine and dentistry over the years. His work with local, state and national scientific societies was well known. He was a member of the first board for the National Science Foundation. After retirement from active service he was a professor and chairman emeritus. I was born on October 20, 1896 on the second floor of the laundry where we had an apartment at that time. I was baptized on November 15 by the Reverend William Tyrrell, S.J., pastor of St. Louis of France Church and, later, famous as the president of Spring Hill College. I was named Patrick Henry after the great Virginian who is believed to have been an ancestor. In the family I was always called Henry but when I became a Jesuit I was listed as Patrick and called Pat. Soon after my older brother’s birth, while he and my mother were visiting her sister, Mary Single in Hartford, Connecticut, my father entered the Church. He had been brought up in his mother’s religion, Methodism, and never completely overcame some of its Manichaestic prohibitions, such as dancing and card playing. However, he did not follow them in the doctrine of the use of alcohol, though he used it with moderation, for the greater part. He also had no qualms about attending Protestant services when in a place where there was not Catholic church. He also took us with him and there was grave danger that we might become indifferent, especially when we moved to 23rd Avenue and became closely associated with the Durham family. They used to take us to their Methodist church, very conveniently located two blocks away. We also once attended a revival at which Mr. Durham ‘got religion’. However, my mother always opposed this and finally got us children straightened out. The strange thing about it was that the oldest Durham boy, Jimmie, eventually became a Catholic. My father also was never favorable to Catholic schools and tried several times to send us to the public school but succeeded only once when, for a year, I attended the Buffalo Avenue School in Tampa. Here I found to be true what had often been asserted regarding public schools, namely, that they are not non-sectarian. The year 1907 was important for many things. In the first place, sometime in the Spring of that year I made my First Communion and was confirmed by the Bishop of St. Augustine, the Most Reverend William Kenny. This was before the decree of St. Pius X ordering children to make their First Communion at an earlier age. I am sorry that I did not come under that ruling, because had I begun confession and communion earlier I might have avoided certain habits of sin already established by this time and, therefore, more difficult to overcome. It was sometime in the year 1908 that I met a person who was to have a great influence on my later life. This was a girl who moved into our neighborhood about this time. I shall call her Mary. She was just a month older than I and was an only child. Her family began buying milk from us and it was my job to deliver it. Soon the visits became more frequent and more social. Though I was only twelve years of age I began to have a special feeling for Mary, though my first essays at what might be called courtship were apparently very coldly received by her and discouraged by her parents. However, as we got older we began dating and had many good times together. According to modern standards these might seem quite dull but we used to get a lot of fun out of singing while when played the piano. We also went once in a while to plays and to the new entertainment which had just come to Tampa, the movies. Strange to say we never danced together, not because of any prohibition on the part of our parents (though my father was against it) or inhibition on our part. The main reason was that I was always clumsy and never took the trouble to learn. At the end of school in June 1911, I began work full time for Gillette and was getting $5.00 per week. If I was foiled in my effort to improve my financial status by working all day, I got a bonus in the form of a trip to Cuba on one of the Gillette ships. So in August I shipped as a common seaman on the Samuel T. Beacham, a three-masted schooner under the command of Capt. Jaime Sierra, a Spaniard. However, I did not have to work and I lived and ate with the officers, through I came in contact a great deal with the crew. On my return home I nearly broke my mother’s heart by saying that I thought I would become a sailor. I was only joking but I think she sensed that all was not right with me. No doubt she redoubled her prayers for me and they were to be answered. My conduct also improved and the matter of vocation also returned. My first recollection of this subject goes back to the time when we lived on Giddens Avenue. My grandmother Oakes was visiting us and she asked me, "Henery (she always pronounced by name that way), what are ye going to do when ye grow up?" Without hesitation , and also without knowing what this involved, I replied "I want to be a priest". However, as has been seen, I did little to implement this ambition and, actually, except for rare occasions when one of the fathers, especially Father Fox, would mention it to me, I never thought about it. 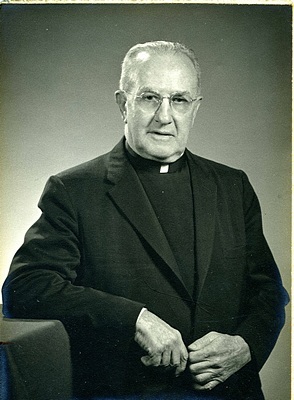 However during Lent of 1912 Father Navin gave a students’ retreat (the firs, I think, that had ever been given at college) and directed himself to the graduates especially, calling upon us to consider seriously the matter of vocation. Unfortunately, I was more affected by his warnings of the danger of losing one’s soul in the world than I was by the positive virtues of the priestly or religious life. Similarly, I did not have a clear idea of the difference between the secular priesthood and the religious vocation. The reason for this was that, with the exception of Father Michael Fox, pastor of St. James’ Church in Orlando during my childhood, who received my Aunt Lidie into the church, the only priests I had ever known were Jesuits. The fear that I had a couple of years before of not being able to make the studies had been dissipated by my better accomplishments in school under Father White. Furthermore, Father Fox had intimated that he might be able to get me scholarship for a year or two at Spring Hill College (fortunately this did not happen, for I doubt that I would have gone through with my vocation had I taken these two years, not because of any fault of Spring Hill College, but just because of my own vacillating nature). Nor was the prospect of giving up worldly goods any problem to me, since I did not have much of these and not too great an ambition to acquire wealth, the real crux of the matter was my attachment to Mary. Through we were only fifteen years old, we were going steady, as the saying is today. To complicate matters (possibly one of those snares of the devil under the guise of an angle of light) I began to feel that I was necessary for her salvation. I thought that if eventually we got married she would become Catholic, not considering, as was pointed out to me later on, that it might turn out the other way. At any rate I had reached an impasse. I used to go over the arguments on both sides often with myself but, unfortunately, not with anyone else who could have directed me (this is a fault I have always had). One night when I had for some reason, stayed in town until late and had taken the street car home, I had been mulling these ideas on the way. Shortly after I got off the car at the corner of Buffalo and Central Avenues something seemed to say to me, ‘Do it by prayer’. I don’t pretend that there was any kind of vision, like the one to Saul on the road to Damascus, but there certainly was a clear conviction in my mind that this was the way to accomplish what I had in view and without hesitation, like Saul, I said, ‘I will; From then on it was merely a matter of arranging the details. I pledged everyone I told about my vocation to secrecy for several reasons. In the first place I felt a little bashful about it. Secondly, I was not too sure of myself. I had changed so often before that I was afraid that I might change my mind again and did not want to be labeled a quitter. Thirdly, I was afraid of the effect on Mary. Though, as I have said, we had been going steady for some time now, actually there was nothing between us except friendship. It is true that I was in love with her but she did not give any sign that she reciprocated this feeling. We had never kissed or indulged in any other forms of affection. Partly out of fear that she might declare her love, thus possibly, upset my resolve and, partly, perhaps for effect, I decided to wait until after graduation to tell her. However, word got around, in spite of my efforts for secrecy, and she asked me if it was true. At first I put her off, saying something non-committal, to which she answered, ‘I am glad it isn’t so; For the first time I realized that I meant something to her besides a friend and it disturbed me quite a bit. However, I did not turn back but I did feel something like a martyr. Finally, shortly before graduation, I formally declared myself and learned not only that she did love me but that her parents looked on me as a son and had hoped that we would eventually marry. This made things a lot harder for me, especially since from now until the time I left for the novitiate I spent most of my time with her. I told myself that the purpose of this was to win her over to the Faith but deep down it was love. I had been approved for acceptance into the novitiate and it was suggested that I enter on the feast of St. Ignatius Loyola, July 31. However, word came form the Provincial that I would have to learn some Greek before entering. So one of the fathers coached me for about a month and, though I could not have learned very much in that time, I was accepted for August 15. However, I parted from Mary on July 31, since she went to spend the rest of the summer with relatives in Palmetto, because her mother was going to Pennsylvania on a visit. Our parting was very sad and I felt that I was being sacrificed on the altar of duty. I did a lot of silly things to show my sorrow and also took up a number of foolish practices to show my piety. What I needed as a good spiritual director; instead I had only myself.